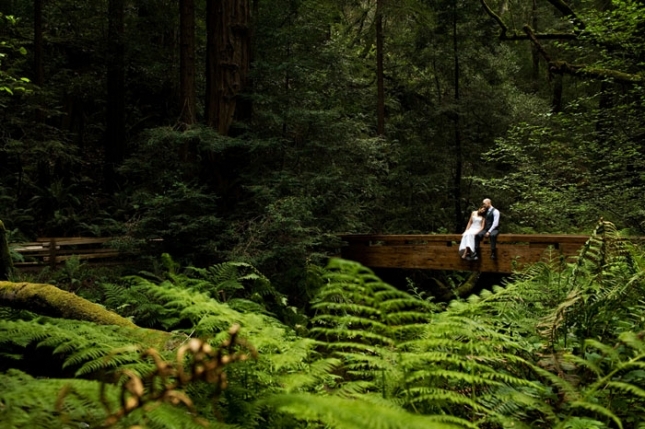 a muir woods wedding that didn’t quite happen due to our government nearly shutting itself down. plans had to be rearranged just two weeks before the wedding but we went ahead with a portrait session for this lovely pair. bonnie and knut were officially married on a boat in the ocean the next day. fun, outdoorsy, adventurous, they are right up my alley. and, of course, i love love love when my clients can lose themselves in each other. Bonnie’s mom made her beautiful dress by hand! Muir Beach is often enshrouded in fog and we actually had rain on the forecast, so the chances of getting beautiful clear weather was somewhat unlikely. It did mean that everyone else was scared away from the beach! Not us. Bonnie and Knut, I had such a great time with you and can’t wait to have you teach me to outrigger canoe!